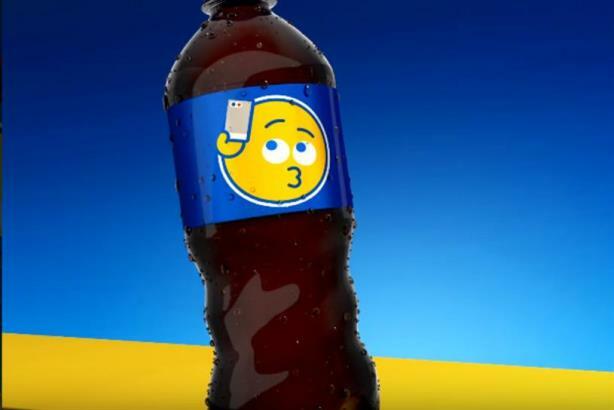 Twitter has launched a sponsored Stickers ad format, with Pepsi signing up as the first advertiser as part of its ongoing #PepsiMoji campaign. PURCHASE, NY: Twitter introduced Stickers in June, allowing users to add emojis to their photographs. Pepsi is the first brand to provide sponsored versions, with the pair coming up with 50 custom Stickers that will feature prominently in Twitter's Stickers library. The design of the Stickers will be based on Pepsi's existing #PepsiMoji campaign, which sees the brands sticking custom emojis on its physical packaging. Sponsoring a Sticker is not dissimilar to sponsoring a hashtag. Anyone who uses a Pepsi-sponsored Sticker on a photo can click on it to see who else has used the same graphic, as well as how they have used it. Stickers will be locally as well as globally relevant and will be available to consumers in a number of markets, including the U.S. but not the U.K. The partnership is the biggest between the brands to date, and Twitter will not be offering such a generous Sticker allowance to other sponsors. Instead, according to a blog post, brands can offer between four and eight Stickers or props for users to add to their photos. Twitter is also using its influencer platform Niche to educate its users on using the Stickers. The idea of sponsoring emojis or Stickers is becoming increasingly common, with Facebook and Snapchat all offering sponsored visual imagery. Despite visual apps becoming more popular, Twitter has been late to push imagery on its platform, with the launch of Stickers only coming last month. It also stopped including images as part of its 140-character word count earlier this year.